Kaukauna Strong is more than a motto; It’s a mindset of a school-community that embraces and perseveres through challenges, sees effort as a path to learning and mastery, learns from criticism and finds lessons and inspiration from the success of others; it’s a collection of the community values that drives continuous improvement. And while each of us defines Kaukauna Strong a little differently, the overall theme remains the same: unity, resilience, community and strength. We define ourselves through our positive actions and we celebrate our success with compassion and integrity. 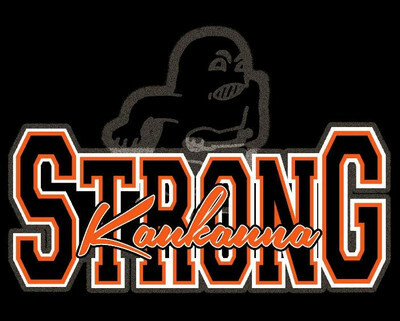 Kaukauna Strong is a brand that the greater community has adopted and proudly displays on their cars, boats, motorcycles, bikes, t-shirts, jackets, sporting equipment, computers and more. You can even find the Kaukauna Strong logo throughout the world – Prague, Canada, Italy, France, Alaska, Disney World, the Golden Gate Bridge, the Rocky Mountains, even with Elvis – thanks to our “Kaukauna Strong – Even when we’re not in Kaukauna” campaign.